Last summer, London-based fashion designer Claire Barrow eschewed the traditional fashion week schedule in favour of creative projects unrestricted by the seasonal retail cycle. The designer, who is renowned for her hand-painted and illustrated designs bridges both the fashion and art worlds, showing her first solo exhibition in Hackney last year, which featured depictions of gargoyle-like creatures depicted on toilet roll and in neon tubing. Barrow also participated in Big Medium’s Austin-based group exhibition ‘Run-off, exhaust and other pressures’ in January, and now the designer has collaborated with the Brazilian shoe label Galeria Melissa on a two-storey immersive installation at its Covent Garden flagship store. ‘It’s all about real life versus digital,’ Barrow explains of the concept behind ‘Dancing with Dreams’. 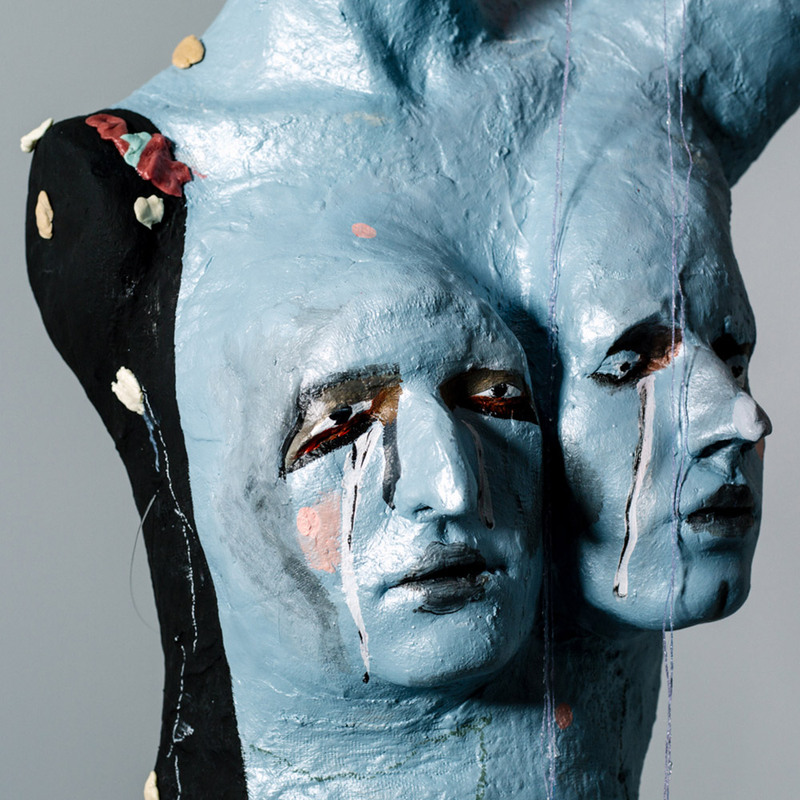 The exhibition features a series of sculpted mannequins dressed in Barrow’s hand-painted creations, alongside film projections of different characters, directed by Joseph Bird. ’They have all got their own story to tell, but they’re quite abstract and it’s all about making your own mind up about what they are,’ she explains. The space also features 13 shoes – ‘there are six and a half pairs,’ she adds – which Barrow has created for Galeria Melissa. They feature her own signature illustrations and long ribbons which tie around the leg. These are suspended from the ceiling of the space, blown gently by wind machines.